The conference is called Netroots Nation, a name that invokes both grassroots activism and the event’s origins in the liberal blogosphere. (It was founded by the folks behind the Daily Kos). Organizers say its the largest yearly gathering of progressives in the country. At this year’s event about 3,000 lefties are expected to pack Cobo Hall for the four-day event, which runs July 17-20. Attending the gathering will be a feisty mix of bloggers, social justice advocates, politicians, labor and NGO leaders and grassroots activists. Although many will be progressive stalwarts pushing forward with national campaigns, others–some from right here in Detroit–will have their sights on righting wrongs closer to their own communities. 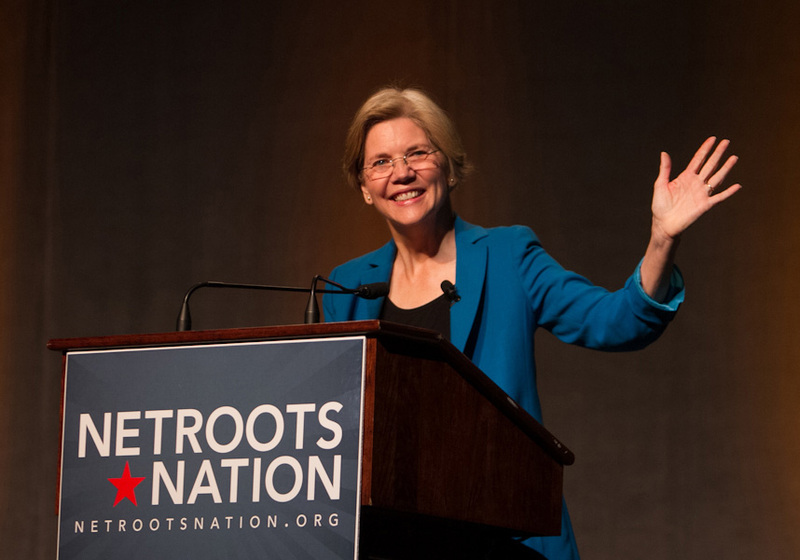 Netroots Detroit will headlined by a keynote address by Sen. Elizabeth Warren, a progressive favorite who’s made a name for herself speaking out about wealth inequality and other issues. Also speaking will be Rev. William Barber, one of the leaders of the Moral Mondays movement, which has been challenging a host of right-wing attacks on issues like voting rights, environmental safety and social programs in North Carolina. And, brace yourself, Vice President Joe Biden will also be there to give one of his classic no-holds-barred speeches to a crowded lobby of Netroots’ progressives. What’s more, there will be a track at the conference dedicated to local issues. A panel lead by cultural critic Dream Hampton will explore “Food Security in Detroit, and Why We’re so Hungry (for Change).” Another,”Creating a Beloved Community: Visionaries for an Inclusive Detroit,” featuring former Critical Moment contributors Will Copeland and Shea Howell as well as Detroit Black Community Food Security Network director Malik Yakini, will look at how Detroiters are “striving to create a liveable, sustainable, post-industrial city with the people already here.” Time will also given for activists to address local issues like the recent rash of water shut offs. Other activities include: a progressive film series; a preview of new tech tools; a candidate reception; a social and economic justice tour; a comedy show; and a series of short five-minute “Ignite” talks by movement leaders like Darcy Burner, Arshad Hasan, Justin Krebs, and Stephanie Taylor. Rickles says Detroit was chosen to host this year’s event because of its proud labor history and its role as a flashpoint for so many contemporary movements and battles. “You see Detroit covered in the press a lot and a lot of the stories are negative, talking about all of the terrible things that are happening there,” she says. “We also know that there is really amazing organizing on issues ranging from food security to public education, and we wanted to highlight some of these stories. While the event’s standard cost is on the pricey side, there are special rates for students and Michigan residents, as well as day passes as low as $99 available for purchase. Check out Netroots Nation’s website for details. 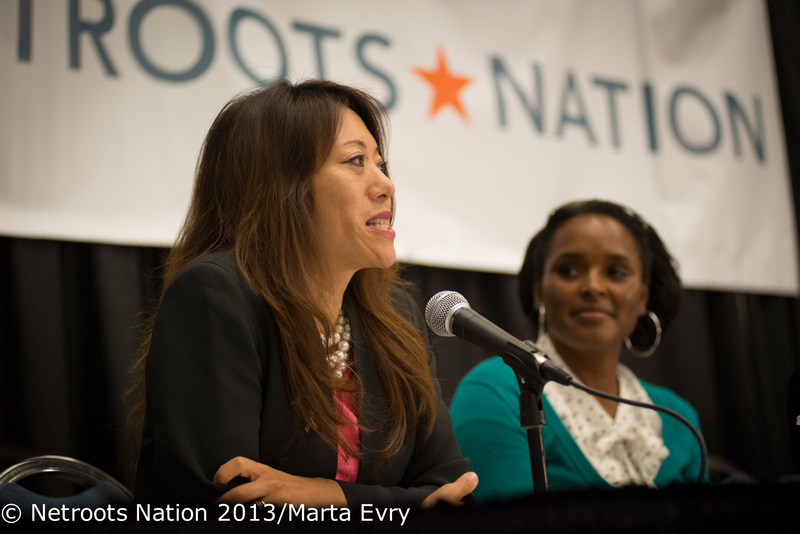 Critical Moment will be covering Netroots Nation live over social media this coming week, so be sure to check us out on our revitalized twitter feed at @CriticalMomentD. We hope to see you there!